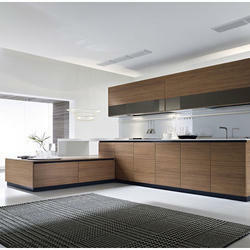 Leading Manufacturer of laminated kitchen, designer laminate kitchen and laminate designer kitchen from Noida. For the diverse requirements of our valued patrons, we are offering a broad range of Laminated Kitchen. Our offered laminate kitchen is designed from quality assured steel, glass, and plywood as per the latest designs in the market. This laminate kitchen is well tested on numerous quality parameters to ensure defect free range. Moreover, our laminate kitchen is maintenance free and can be availed within a given time period. 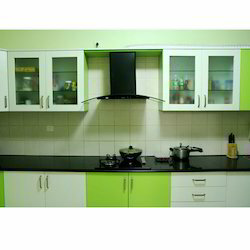 Owing to our expertise in this domain, we are introducing an assorted range of Designer Laminate Kitchen. Comes in numerous designs & styles, our workforce manufactured the offered designer kitchen by utilizing the best wood with other allied material under the supervision of professionals. Our range of designer kitchen is acclaimed in the market due to its designs & quality. 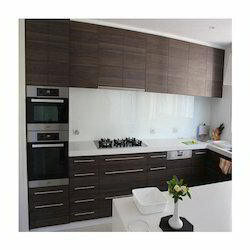 We are listed at the apex for manufacturing and exporting high-quality Laminate Designer Kitchen. Subjected to quality checks on various parameters, we assure the utmost quality of the kitchens offered to the clients. Provided with kitchen cabinets, it is widely acknowledged among our customers. Furthermore, this offered teak shade laminated kitchen is widely praised for its fine finish. Looking for Laminated Kitchen ?